Mike writes, "When I boot my XP machine I get a DOS screen with a "please select operating system to start" prompt. How do I change this so it just boots to the correct system without having to go through this screen?" 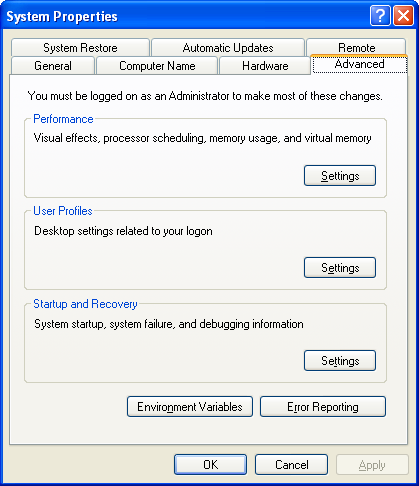 The option to select an operating system to start usually appears after you've installed more than one operating system on a computer. You can bypass it by turning off the selection option and setting a default operating system to load automatically. There are a couple of ways you can change your start up options so that your default operating system loads and you never need to see that screen again. The easy way to do this is to open My Computer > Properties, either by clicking Start and right-clicking the My Computer icon in the start menu or typing Windows Key+Pause on your keyboard. Choose the advanced tab and click Settings in the Startup and Recovery section. 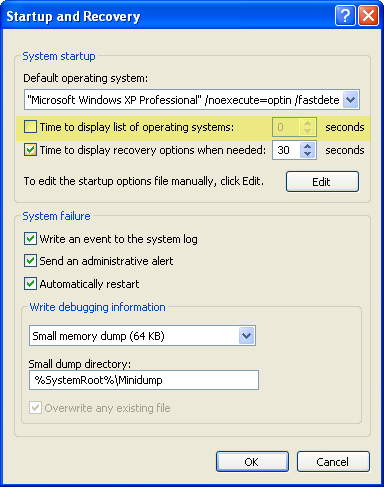 On the Startup and Recovery screen, select Microsoft Windows XP Professional (or Home depending on your version) as your Default operating system and uncheck the box next to Time to display list of operating systems. The next time you reboot, your computer will automatically load XP.